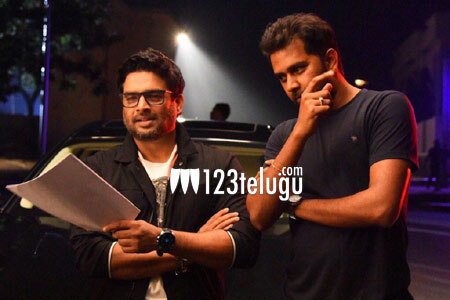 It’s well-known that pan-India actor Madhavan is essaying a crucial role in Naga Chaitanya’s ongoing movie, Savyasachi. The actor joined the film’s shoot last night and floored the entire team with his charms. Maddy took to Twitter, posted a photograph from the first day of the shoot and expressed his happiness on being part of an awesome team. Naga Chaitanya replied to him saying that the entire team is excited to have him on board. Chay went on to say that he can’t wait to show people what Maddy is up to with Savyasachi. Chandoo Mondeti is directing Savyasachi. Bollywood starlet Nidhhi Agarwal is the film’s leading lady. Mythri Movie Makers banner is bankrolling this exciting project.